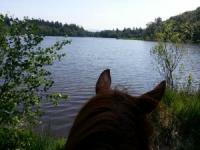 Boltby Riding Centre - Horseback Riding through the North York Moors NP, England! 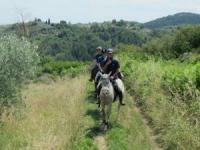 "Podere Le Baruti" your dream holidays in the heart of Tuscany in comfortable holiday apartments. 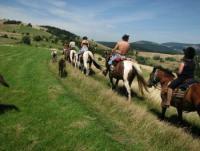 Overo Ranch - Western riding in Nowa Ruda, Low Silesia, Horseback Riding Vacations in Poland! 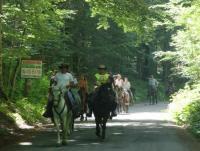 Expirience the beauty of Arandjelovac's mountain terrain, rich with lakes, meadows and streams. 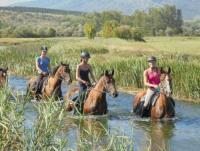 Adventurous riding holidays for lovers of the beautiful Andalusian landscape and its horses! 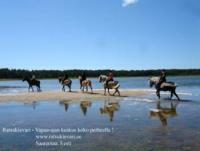 ISAM HorseRanch Fethiye - Horseback Riding Holidays at ISAM Horse Ranch in Turkey! 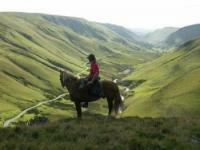 Horseback Riding weekends and Holidays in the Brecon Beacons mountains, Wales, Great Britain!